Aluminum Wholesalers provides Aluminum Association I-Beams for building and boat lift applications and has American Standard I-Beams available as well. We extrude an extensive supply of I-Beams with full radius corners for use in the manufacturing of aluminum boat trailers. 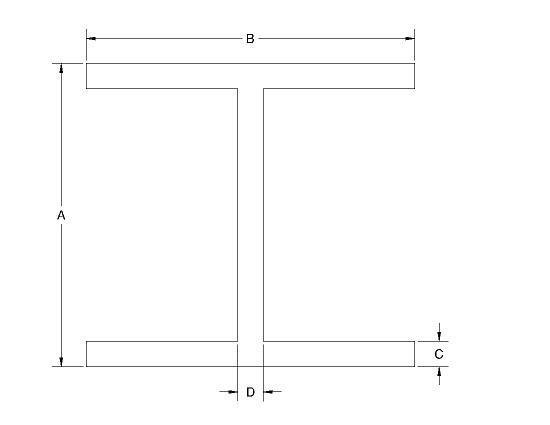 These I-Beams are produced using a special practice to ensure a high quality surface and formability.